In the two-and-a-half years since we have been online, The Motherboards has offered our readers a wide variety of crafts, projects, and decorating ideas. In honour of Christmas, we’d like to look back at some of our past Christmas posts. We’re sure there will be something here that you’ll be interested in trying your hand at this holiday season! 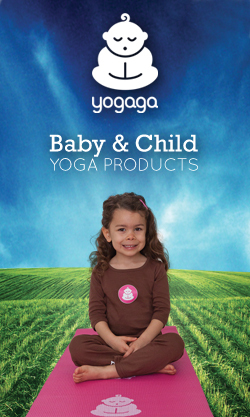 Today we’re focussing on gift giving! You’ll be inspired to have everything wrapped long before Christmas (or whatever your holiday celebration may be) and have gifts at the ready for all your gracious hosts. During the holiday season, there are always parties, dinners, get-togethers of family, friends, and neighbours. And it’s a lovely idea to bring your host/ess an offering (or be prepared for those impromptu gatherings or drop-ins and have a gift on hand). The Motherboards have featured some fantastic, but easy, ideas for some sure-to-be appreciated goodies. It’s always great to give someone a gift they can use at the party (or the morning after), and Vanilla Simple Syrup is so delicious in hot cocoa, coffee, or cocktails – or even on a stack of pancakes! 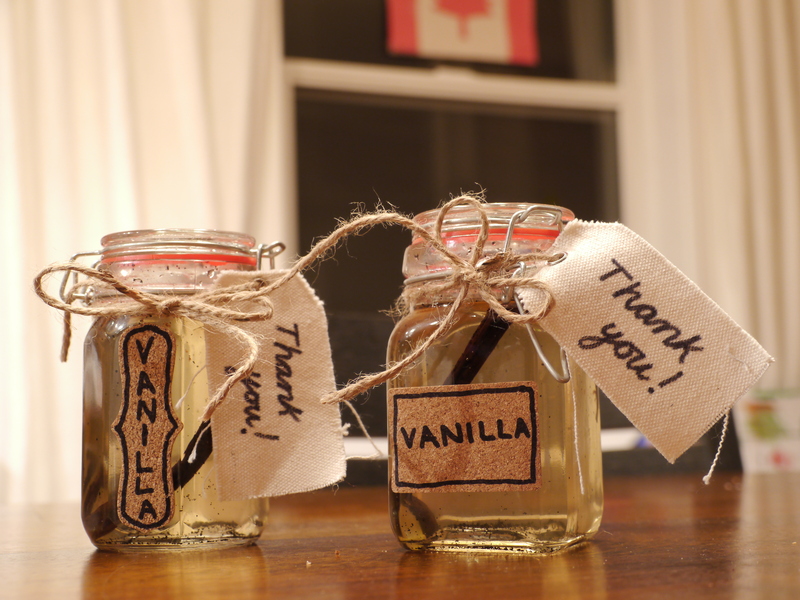 Ryan made this delicious treat and dressed it up in some cute jars with personalized “thank you” tags. Great to give and receive! 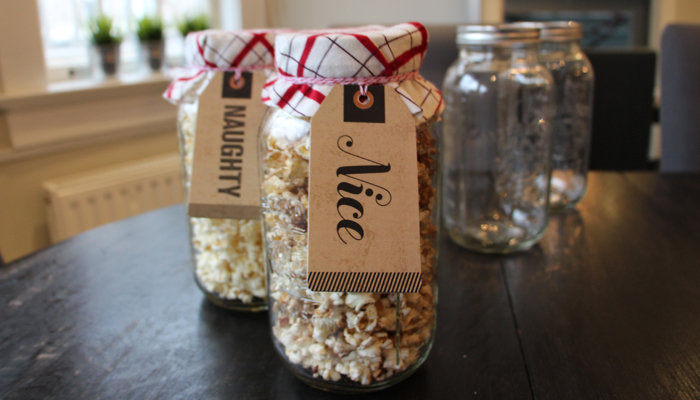 Another yummy treat that can add to the party is a selection of Sweet and Savoury Popcorn, also packed in jars and festooned with a lovely label. Janet enlisted her daughter to help create this flavoured snack, so you can even engage the kids on those winter holiday days pre-Christmas. So much better than whining about having nothing to do! And I doubt they’ll complain when they know they’ll get to try the wares. 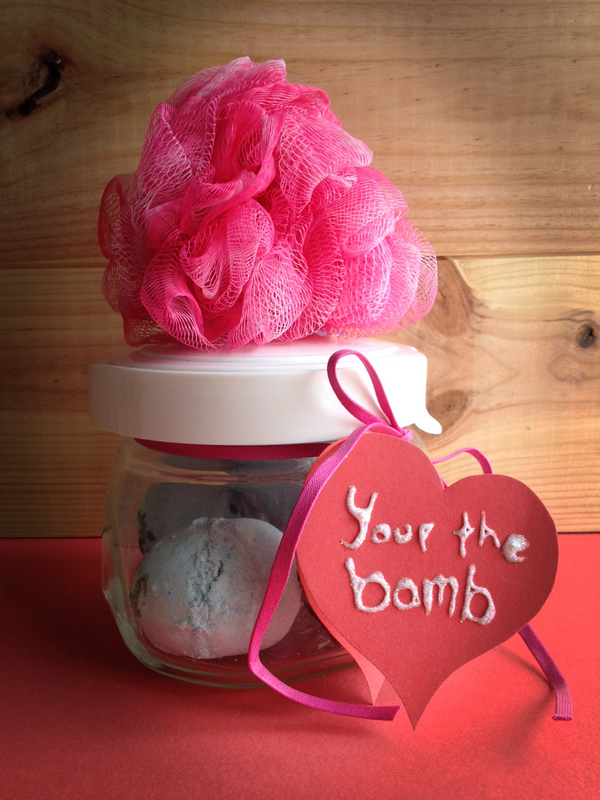 And for after the parties and the frenzy of the holiday season, it’s always nice to relax in a bath with a fizzy, sweet-smelling Bath Bomb. Easy to do and fun to give, Julia explains how you can choose the scent, colour, shape, and size of these calming creations. It’s a DIY spa! Of course, you’ll need to wrap your gifts – all your gifts – and it’s fun to get creative. Instead of spending the money to buy paper that will just be ripped off and thrown out, why not wrap your gifts in Fabric, or your Kids’ Artwork? 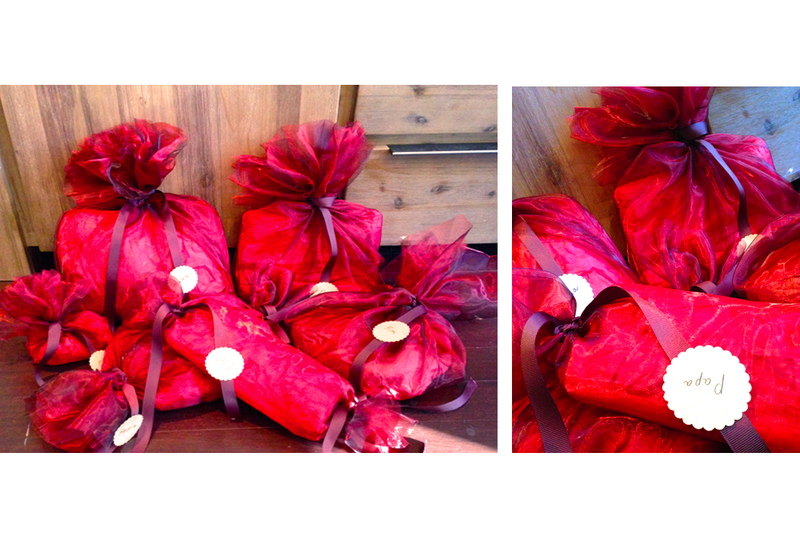 Liesbeth’s presents are personalized, dressed up, and environmentally sound, and the wrapping will be long-remembered. And now all you have to do is make your Holiday Pop-up Card! 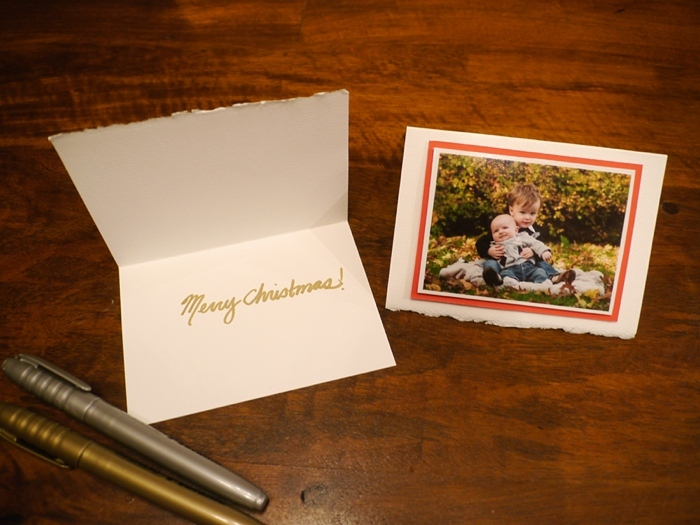 Ryan returns to show us a simple way to fashion a personalized card with a picture and a 3-D frame. You have your card, wrapping, and gift ideas. Time to get ready for the holidays! From: Christmas, Holiday Fun, Host(ess) Gifts, Party Time!